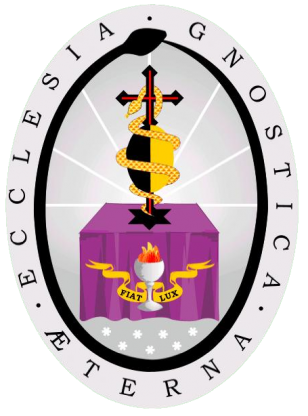 The Ecclesia Gnostica Aeterna (EGAe) is an initiatory community of Kristo-pagans manifesting the mysteries of the Kosmic Gnosis. The EGAe uniquely combines a pagan metaphysics and sacred experience of the All with the spiritual transmissions of the Apostolic Succession to which we are a rightful heir. Our Gnosis rejects redemption through the banishment of matter into Nothingness and teaches the return to a sensual union with the enthusing Kosmic wholeness. As the antithesis to the linear teleological view of the Abrahamic religions and the resulting futurism of the modern world, our Gnosis is rooted in the knowledge and experience of the flowing sacred cycle of Life. We live the mysteries of the eternal return of the Origin in the ever-becoming and never repeatable, rejuvenating present moment.